Clinic Synopsis: Ubiquitous and easy-to-use video teleconferencing technology has created a wonderful opportunity for directors to bring their students into meaningful contact with composers whose music they perform…virtually! This session - featuring media from composer Skypes; quotes from directors, students and composers; a standards-aligned, model lesson plan; and an explanation of the technology involved - will demonstrate the many benefits of, and logistics for, running a successful composer Skype session. Clinician Biographical Information Scott Watson has taught instrumental and elective music for 30 years in the Parkland School District (Allentown, PA) and is an award-winning and frequently commissioned composer. Watson’s output includes more than 60 published works at all levels for concert band and orchestra. Watson’s music, which has been performed around the world and in the U.S. at such prestigious venues as Philadelphia’s Academy of Music, the White House, and the Midwest Clinic, has been described as “outstanding...with beautiful melodies and interesting harmonies" (The Instrumentalist) and "written with supreme craft" (Percussive Arts Society Percussive Notes). His music has received awards and recognition from the American Composers Forum, the American Music Center, Phi Mu Alpha Sinfonia, the Percussive Arts Society, and others. Recent commissions include works for Composers and Schools in Concert (consortium of 12 university and high school bands across the U.S.), Magic Valley Symphony Orchestra (Twin Falls, ID), Albemarle County (VA) Middle School Honors Band, MusicAlliance Honor Band Camp (Cleveland, OH), Lehigh County (PA) Bandmasters Association, and the Massachusetts Instrumental and Choral Conductors Association. Watson has presented numerous workshops/clinics for music educators and frequently serves as guest conductor for honor band festivals, including the 2015 All New England Band Festival (Plymouth State University, NH) and the 2017 PMEA District 5 Freshman Band Festival. Additionally, Dr. Watson is an adjunct professor for Cairn University and the University of the Arts (both in Philadelphia) and Central Connecticut State University, and is the author of the highly regarded music education text, Using Technology to Unlock Musical Creativity (©2011, Oxford University Press). To learn more, visit www.scottwatsonmusic.com. Second Clinician Biographical Information Jenny L. Neff, Ed.D., has 24 years of public school teaching experience, teaching music at various levels K-12 in Connecticut and Pennsylvania. She conducts two concert bands at Bala Cynwyd Middle School in the Lower Merion School District in Pennsylvania. Her ensembles have received top ratings at local and regional festivals and competitions. 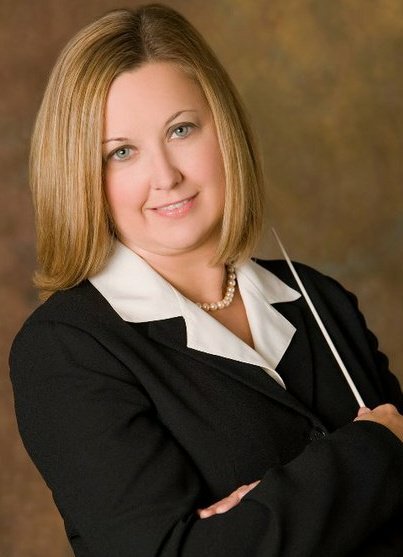 She currently serves as the Eastern Division Representative for NAfME’s Council for Band and previously served in roles of advocacy and professional development for PMEA districts. She has presented sessions in Pennsylvania, Maryland, Rhode Island, Delaware and New Jersey on a variety of topics, including: music standards, curriculum, advocacy, instructional strategies, engaging students, embracing change, and teacher evaluation. Dr. Neff’s doctoral research study was recently published in the Pennsylvania Educational Leadership Journal. She has also written articles for the PMEA State Journal, and blog posts for Zeswitz Music and J.W. Pepper. She conducts the summer Concert Band at New England Music Camp, and has been a guest conductor and clinician in Maryland and Pennsylvania. Previously, she toured Europe for five summers with high school musicians as Symphonic Band Director and String Ensemble Director for American Music Abroad. Dr. Neff recently earned a Doctorate in Educational Leadership from Immaculata University. She received her Bachelor's and Master's degrees in Music Education from Michigan State University where she studied horn with Douglas Campbell and Neill Saunders, and played under the batons of Eugene Corporon, Kenneth Bloomquist, and Leon Gregorian in MSU's top bands and orchestra. She performed with the MSU Wind Symphony, under the direction of Eugene Corporon at the Midwest Band and Orchestra Clinic in 1986.